Wulff Entre New Website Launching Soon! 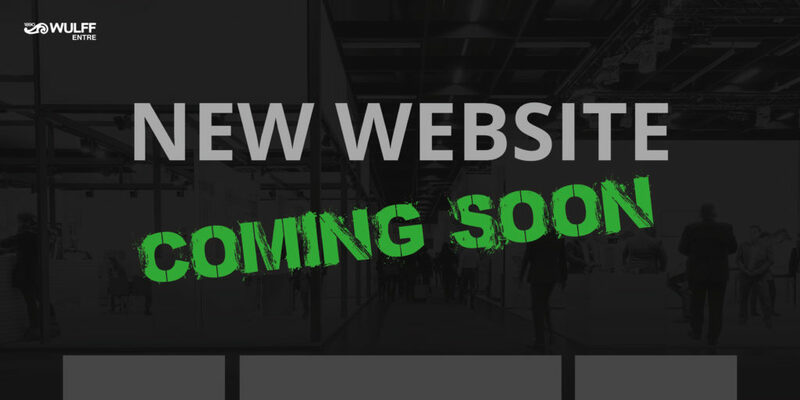 We are excited to announce that next month we will be launching our newly designed website! The new site will better reflect who we are, what we offer and where we shine. We have an incredibly talented team working here at Wulff Entre to help and care about our customers businesses. Over the years we have designed & produced many outstanding trade show booths, from mini-size to large scale exhibition projects. They all have been great to work with and been bringing success to our customers. We believe that sharing this information via our brand new website will help new customers to find us, and together we can build stories that touch and promote brands, and increase business. This way we can all create value and make an impact to our world! Welcome to see what we can – we are happy to help you to promote your business! Your experience on our website is very important to us. In response to customer feedback, and input from our entire company, we will be improving speed, navigation, showcasing our recent designs and providing further detail of our service offerings. The website will also include exciting new and improved service offerings and with that, new possibilities for our customers. Wulff Entre’s incredibly talented and creative design team are working seamlessly together to produce a clean, fresh new look that aligns with who we are. We are working on the design in-house and have chosen Evermade as our partner to help turn our design dreams into reality. We are currently in the building process, so thank you for your patience while we work out all the bugs! We will keep you up-to-date with the latest information. Update: As expected, projects such as these always face a few hurdles, for us, it has been a time issue due to our upcoming move and ramped up workload. We apologize for the delay, but it is looking great and promise it is coming very soon! !